On Saturday 1st February 2014 about 12:30am whilst Police Officers from Caye Caulker Police Station were conducting patrol within the village, checks were made at a bar located in the village and whilst there one of the officers heard a loud noise as if something heavy dropped on the tiles of the floor, coming from where a group of persons were standing who also moved away at the same time. 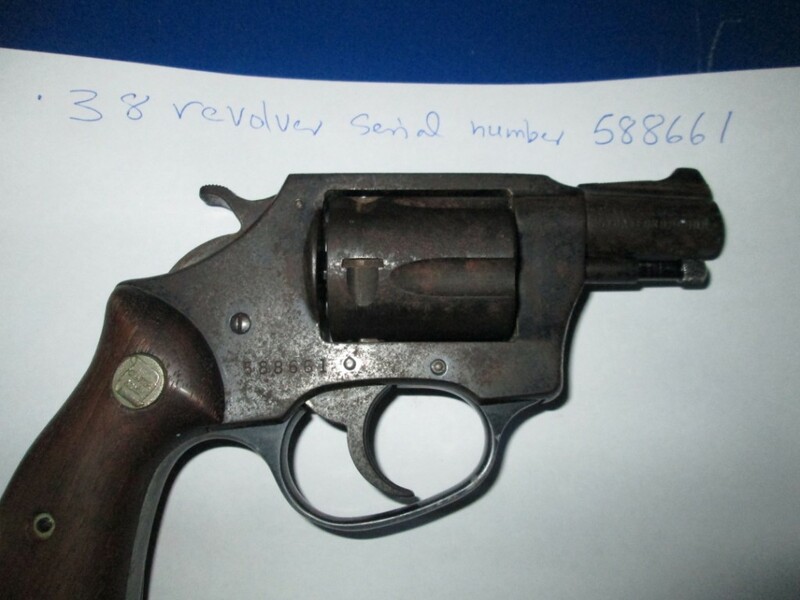 He then made checks by the area where he found a .38 revolver without rounds bearing serial number 588661 on the floor. The said firearm was taken to the police station and labeled as found property. An all formation message was sent concerning the firearm.